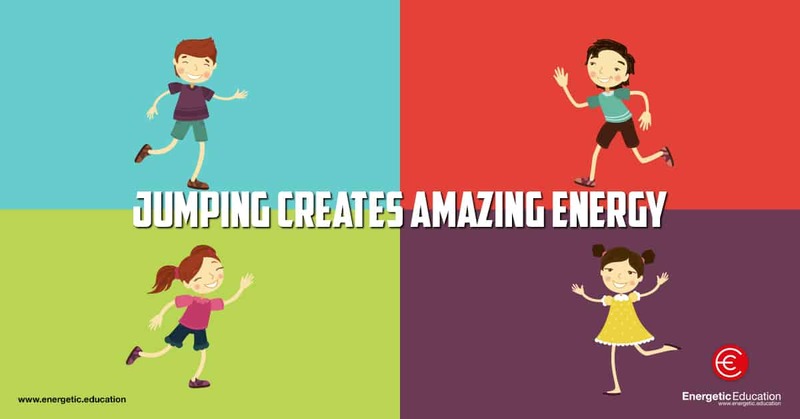 Jumping activities are a great way to start a lesson. The reason for this is that they are extremely engaging and a great way to get students active and focused in a short period of time. The following 5 education breaks are best used outside or in a gym where students have plenty of space. The following jumping activities have been chosen, as they are suitable to use with students of all ages. Hopefully you will enjoy these games and you will find that they are perfect education breaks to engage and empower your students. Description: This is a game discovered in Kenya when visiting the Masai Warriors. The class needs to find a space on their own. This is best played outside. The aim of the game is to jump as high as you can on the spot for as long as you can. The winner or winners are the people who can do this for the longest. This shows strength and courage for the Masai Warriors. Description: This game can be played inside or outside. Students lay on their stomachs in a circle with their heads facing inwards. Make sure there is a body width between each student before you start. The teacher stands in the middle and yells one student’s name. This student gets up and jumps clockwise over every student successively until they get back to their starting place where they lie back down. This game is like a Mexican wave, so once the lead student jumps over the first student they get up and follow the lead student and so on, until each student has followed the previous student back to their original place. When the last student lies down, the ‘turn’ stops. To challenge the students the teacher can time students to see how long it takes for everyone to have a go and get back to their starting position. This is a fun, challenging game the class can play together to try and beat the clock. Description: Start the game with the class lining up in a straight line on one side of the line of cones. If you are playing the game inside and have lines on the ground you can use one of these instead. The game is simple; the class all starts on one side of the cones, which is called ‘out of the water’. On the other side of the cones is called ‘in the water’. The teacher then starts by saying one or the other. If the teacher says “In the water”, the class jumps over the cones. If the teacher says “Out of the water”, the class jumps back out of the water. The game gets tricky when the teacher starts saying both instructions quite fast. Students are eliminated and become judges if they do the wrong movement, or if they are too slow to react to the instruction from the teacher. The last student left is the winner. This is a great game for students of all ages; it is a fun, fast-paced warm-up activity. Description: Pair students up and have them sit down facing each other, legs straight and feet just touching. This line will form a ‘ladder’. Number the pairs in order and when their number is called, the two students must jump up, run over the legs of the other pairs in one direction, then run outside the ladder to the opposite end and then continue to run over the legs of the other pairs until they get back to their starting position. The first student back in the pair is awarded one point for their team. At the end of the game, the teams with the most points are the winners. Description: This game is great for teaching your students long jump or just to practice jumping in a competitive situation. The teacher sets the three rulers up in a straight line 30cm apart. The students take one step between each ruler, trying a large jump on the last one. The student at the end of the line is the ‘fly’; they move the last ruler to where they landed. This increases the size of the jump for the next go. This continues until only one student is left at the end. The rulers get further and further apart, meaning the run-ups and jumps of the students increase. Students are out if they touch a ruler with their foot, or if they take two steps between each ruler.